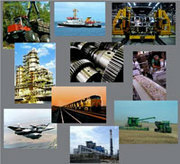 Poly-Tech have been providing solutions to an array of different market sectors for nearly 30 years. From snake venom laborotries to cheese production facilities, there are many environments that subject surfaces to corrosive chemicals and materials. That is why Poly-Tech looks at each job in each environment on their own merits so only the most suitable systems are put forward for consideration.